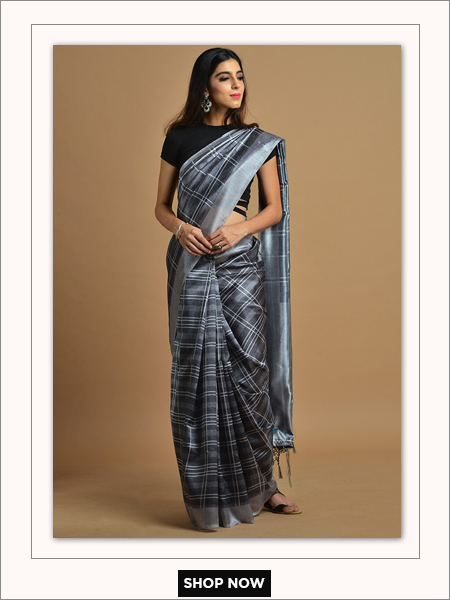 The history of sari-drapery traces back to Indus Valley Civilization. 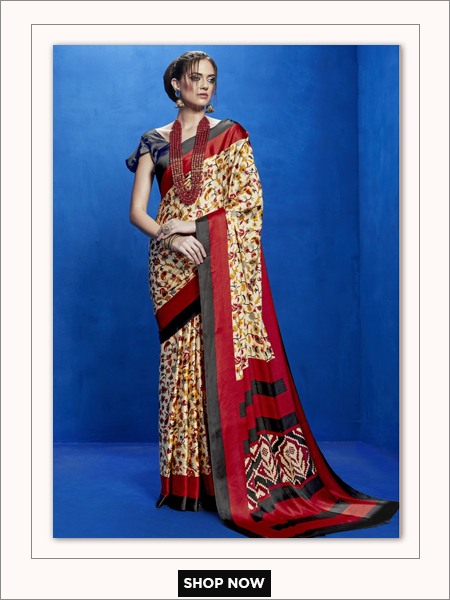 The saree has stood the test of time and printed sarees are in vogue again. 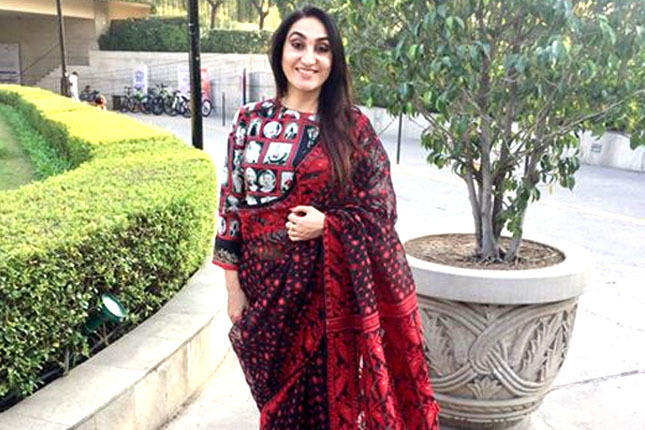 Bollywood has taken a fascination for printed drapes, so we’ve picked some of the best looks that you can wear and stay stylish the saree way. 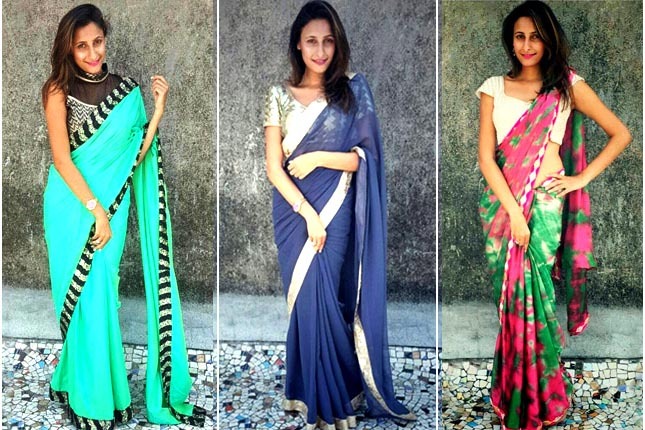 Give your wardrobe a breath of fresh fashion with our celeb inspired printed sarees. 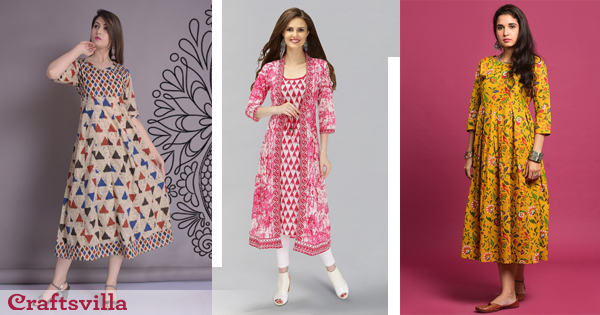 Sonam is no stranger to being a style diva in her own right. 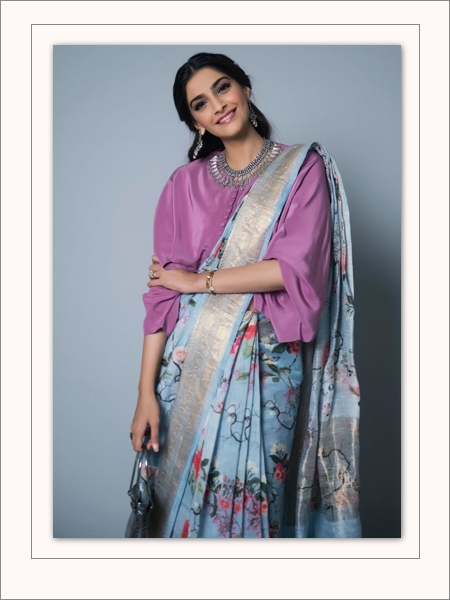 We love how effervescent she looks in this grey-blue printed saree with an unconventional mauve blouse. 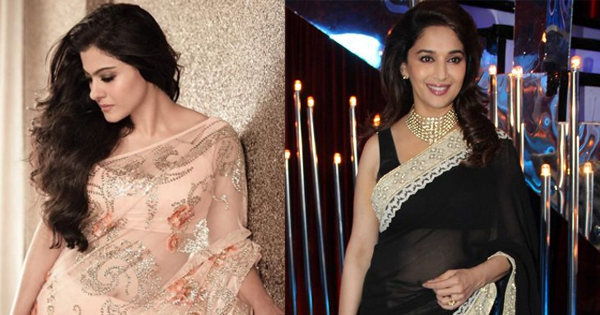 Time has taken Karisma Kapoor’s taste in clothes to a level that only a few can reach. 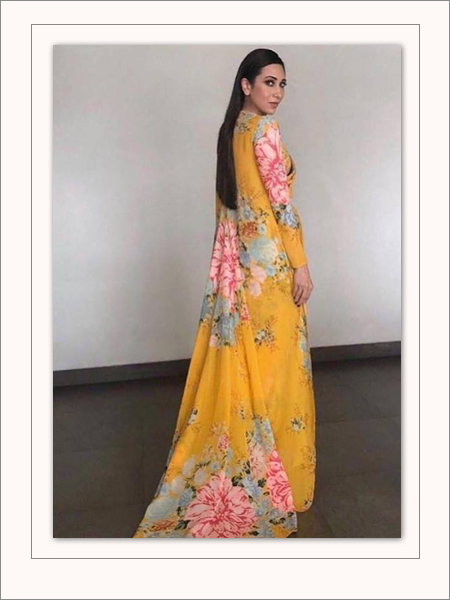 Looking like the quintessential fashionista in this Yellow Georgette saree, Karisma makes the saree look good. 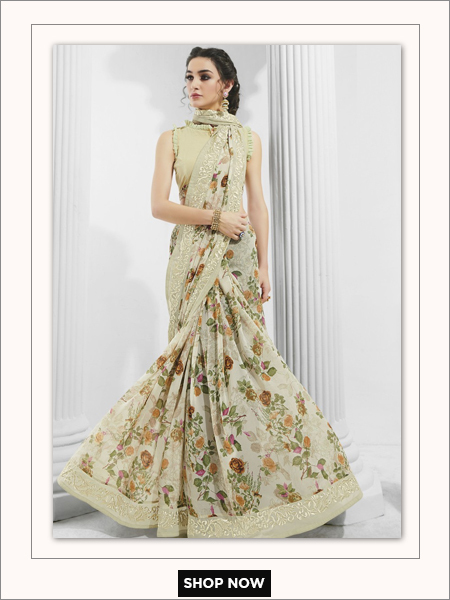 We love this floral print on white saree donned by Shilpa Shetty. 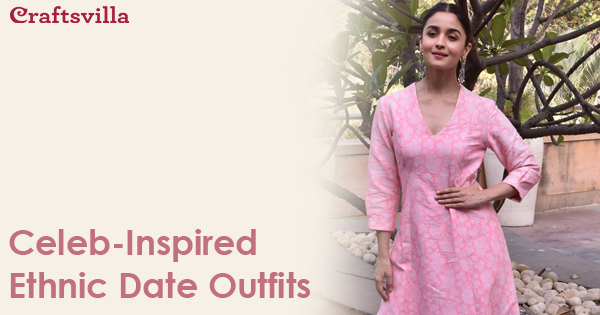 If there’s someone who can carry off both Western and Indian clothing with equal panache, it has to be Shetty. The drape complements her towering personality and the ruffled and tiered bottom is a welcome change from the pleats. 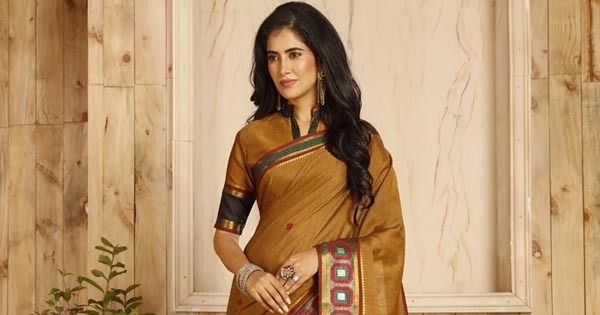 Kajol sure knows how to pull of a saree. Paired with dangler earrings and hair pulled back into a bun, No doubt, Kajol makes a pretty picture in this noteworthy checkered saree. 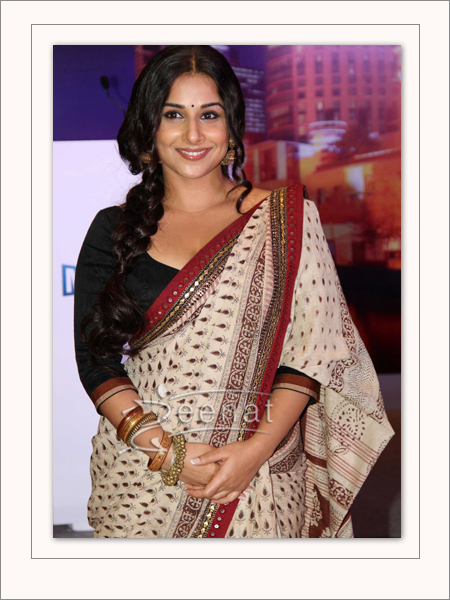 Vidya Balan is well known in B-Town for her fabulous taste in sarees. 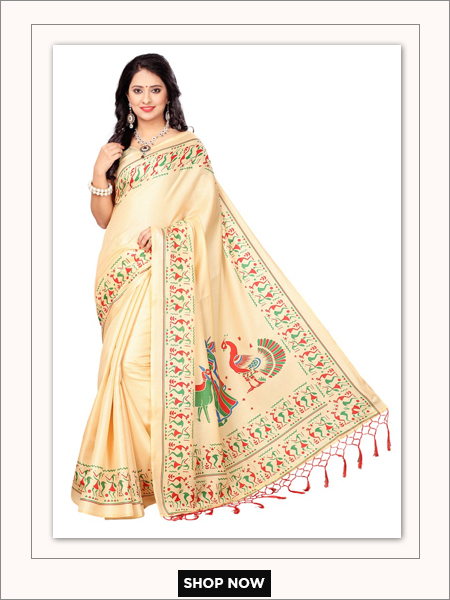 In a multi-printed beige saree Balan, makes a pretty picture with kohled eyes and a low side braid.